Fertigation is the application of fertilizers through the irrigation water. It can be applied in almost any irrigated crop, in both open field and greenhouses. Fertigation allows for a more efficient use of both water and fertilizers. In irrigated crops, water must be applied in a relatively high frequency, depending on the soil type and water requirements of the crop. 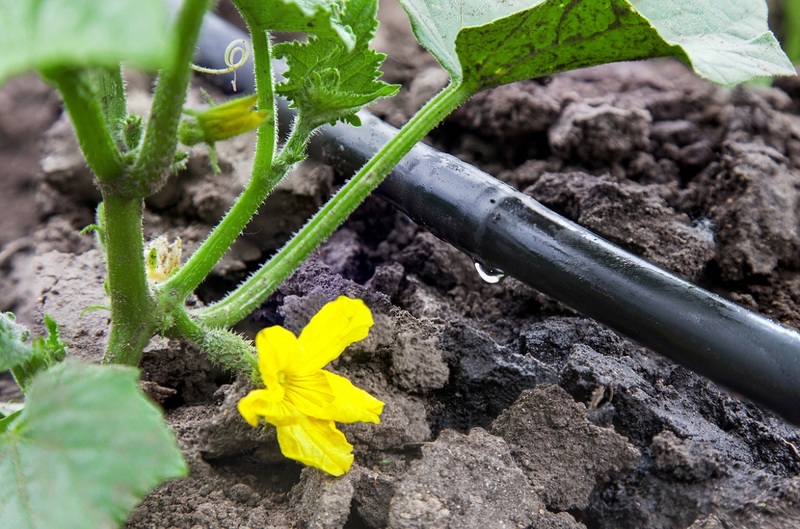 Such crops usually have an irrigation system in place, such as drip irrigation, pivot or sprinklers. The use of an irrigation system provides an opportunity for a more efficient fertilizer application. There are many types of fertigation systems, some are mechanical, without automation or control, and others are fully automated and controlled. Most modern fertigation systems use fertilizer injectors, which can be adjusted to apply specific rates of fertilizers. Controlled systems usually include EC (Electrical Conductivity) and pH sensors to adjust the injection of fertilizers according to the grower’s preferences. Since in fertigation the fertilizers are delivered in a dissolved form, with the irrigation water, the distribution of the nutrients in the soil is almost the same as the distribution of water. This way, nutrients can be applied directly to the root zone. This is particularly true for nutrients that are not adsorbed to soil particles, such as nitrates (NO3–) and sulfates (SO4–). Other nutrients, such as phosphorus and potassium do not readily move in soil and will tend to remain in the top soil. Phosphorus reacts with calcium, aluminum and other elements, depending on the soil pH and potassium binds to soil clay particles, as it carries a positive charge, while soil clay particles have a negative charge. Even more efficient nutrient distribution can be achieved when fertigation is done through a drip irrigation system. In fertigation, plant nutrients can be applied at the time they are needed by the plant. In other application methods, such as broadcast or band application, split fertilizer applications are more complex and costly, making them impractical. Plants absorb nutrients at different rates throughout their growth. Applying nutrients too early or too late might significantly affect the yield. For example, nitrogen in its nitrate form, is not retained by soil particles. Therefore, it tends to easily leach out the soil. If applied too early, it might be lost by leaching, or volatilization and, as a result, much less nitrogen will be available to the crop when it actually needs it, later on in its growth cycle. It was demonstrated in many trials that split application of nitrogen, using fertigation, results in higher efficiency and higher yields. This is mostly due to minimization of nitrogen losses. Phosphorus might be lost by runoff. 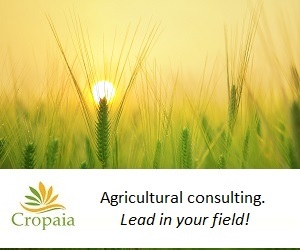 However, in many crops and soil types, it is common to apply at least 50% of the phosphorus at pre-plant. An additional advantage of applying smaller fertilizer doses via fertigation, according to the growth stage of the crop, is that a lower soil salinity can be maintained. Many types of fertigation systems enable application of specific rates of fertilizers to different sections of the field. 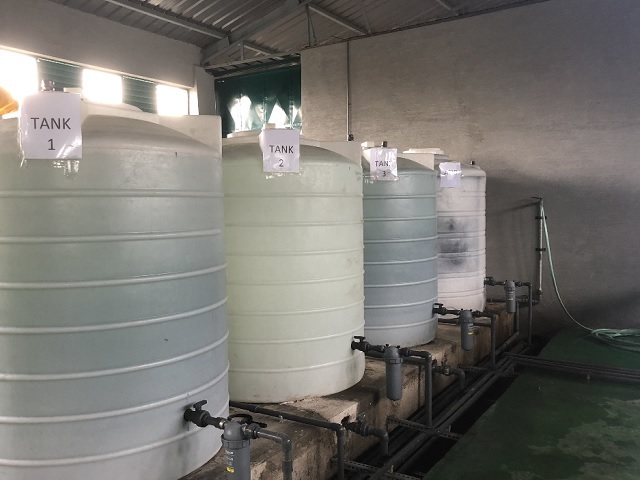 The fertigation system and the fertilizer recipe can be designed in such a way that different fertilizer rates are applied to different sections of the field, customized to the type of crop, growth stage, soil variations etc. The customization is done by injecting different rates of fertilizer solutions to the different sections of the field. 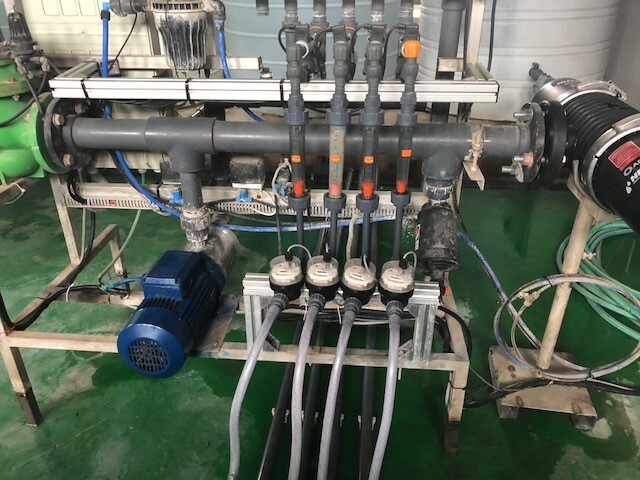 For example, If the fertigation system includes 3 fertilizer stock solutions, applied nutrient rates can be adjusted by setting different combinations of injection rates. Note that the composition of the stock solutions remains the same. In order to be able to deliver fertilizers through the irrigation water, only soluble fertilizers can be used. Note that fertilizers differ in their solubility and that the solubility varies with temperature. Usually, higher water temperature will result in higher solubility (i.e. a larger amount of fertilizer can be dissolved in the same volume of water). Furthermore, in fertigation, certain fertilizers are not compatible or have a limited compatibility and, therefore, must be dissolved in separate tanks, as reactions between different fertilizers might occur and result in a precipitation of minerals in the tank. For example, fertilizers containing phosphorus or sulfur should not be mixed together with fertilizers containing calcium.